Cameras have always been the best form of security that you have in your house. Before you choose a security camera for your home, you need to make sure that you have selected the right one according to your need and requirement. There are lot many options available in the market and the best way to select the one for the security is by taking a help and guidance from a professional. Bullet CCTV camera and Dome cameras are quite popular choices and both are easy to install, manageable, and offer complete control to the user when securing areas of any size. In this article, we are going to tell you which one of there might be the best choice for you. Camera installation is the basic thing that you need to take care on first hand basis. Both Bullet CCTV camera and dome cameras are easy to install, provided that you have take the help from a professional. You need a mounting handle that will be attached to the wall and then you just have to mount the camera on it. Dome cameras are more complicated to mount but do not require much effort either. Location of the camera plays a vital role in the security of the house as the right location will ensure a right coverage. There are many places in the house that are best for the location for the right security such as porch, terrace, corner of the backyard etc. For outside placement, Bullet CCTV camera is the obvious choice as they can be placed anywhere at the spot of your liking. If you are looking for a sleek option for the placemen inside the house, then dome cameras are the best for the job. 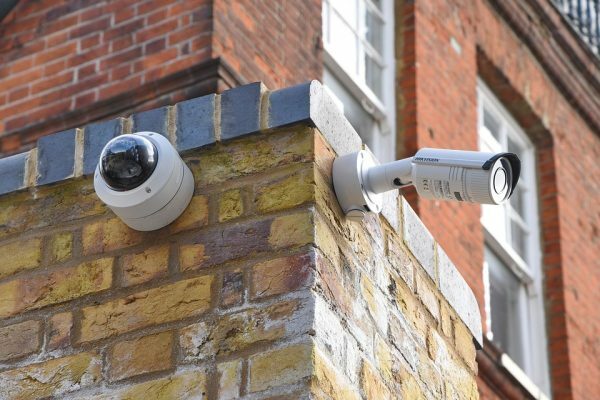 Bullet CCTV cameras are usually weatherproof and have a longer range, making them more suitable for viewing large areas and that is the main reason they are best choice for outside use. The range of the cameras depends upon lots of factors like type of sensor chip, type of lens, Wide Range Dynamic, lines of resolution, Back Light Compensation and Auto Gain Control. Bullet CCTV camera gives you a good range of view, especially if you want to cover a wider area. Dome cameras have less range as compared to the Bullet CCTV cameras and that is the prime reason they are used for the inside placement. You have an option to get both Bullet CCTV cameras and dome cameras with infrared LED light setup that allow them great visibility range in the night time or low light conditions. This ensures that you get clear image quality even when the light conditions are not optimum. You also have a choice to pair the cameras with additional lights to have clear image reception all the time.